Microwave oven fits into upper cabinets above the range. If you are in the market for a new microwave oven, you’ve probably discovered that the range of models and options can be confusing. Should you buy a countertop or over-the range model? What is the best size and power capacity for your needs? 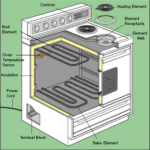 How does a microwave convection oven differ from a conventional microwave? It used to be that microwave ovens were nearly all the same—simple appliances that could thaw frozen hamburger, reheat leftovers, and pop popcorn in only a few minutes. 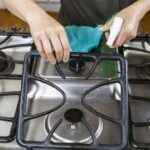 They had a reputation for quick convenience but little else; today, it’s estimated that 90% of American homes have a microwave oven in the kitchen, and there are many varieties of these appliances. Microwaves combine speed with versatility and technology to create a smart kitchen appliance, in an array of styles and colors. Depending on the model you buy, a microwave oven can: Brown, roast, and grill foods like a conventional oven; prepare specific recipes using a pre-programmed touch keypad; cook entire meals without overheating your kitchen; automatically shut off when a sensor determines the food is done. What features should your new microwave oven offer? In this article, we’ll help you determine the unit that best fits your needs and lifestyle. We’ll also discuss pricing and important questions to ask before making your purchase. A conventional microwave oven emits microwaves that pass through glass and plastic containers to cook food. A convection microwave oven combines basic microwave technology with radiant heat and circulating hot air to let you roast, brown, and grill foods. 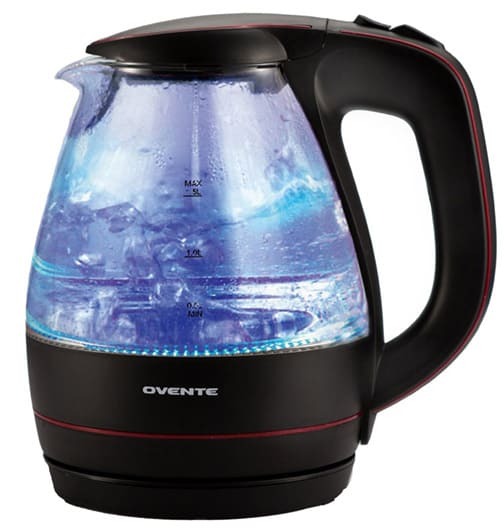 Convection microwaves have a heating element as well as a fan to circulate the heated air. This results in a more thorough, even job of cooking. Also known as speed-cook models, these units promise juicier pot roasts and crustier pizzas. Some units come with a pan for cooking bacon and crisping bread. Another alternative heating method combines microwaves with intense light from a quartz halogen bulb to grill and roast food. This technology adds color and taste to meats while speeding cooking times. 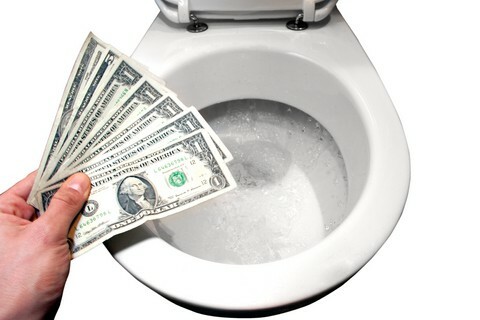 Since convection microwave ovens allow multiple cooking modes in a single oven, expect to pay a little more. Home microwave ovens are sold in several sizes and styles. The four major types of microwaves are countertop models, above-range units, microwave drawers, and combination microwave ovens. Each has certain advantages. Countertop microwaves, also called compact or portable microwaves, are the smallest type and the most popular choice among consumers for reheating foods, thawing frozen food, making popcorn, and similar incidental cooking tasks. 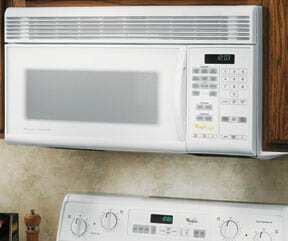 GE microwave ovens are a top seller in this category, according to Consumer Reports. A typical size is 18 inches wide by 14 inches deep and 12 inches tall. Capacity is typically 1 cubic foot and their power is normally between 500 and 1000 watts. Countertop microwaves are portable—you can take them with you when you move. And they are affordable, with prices often below $100. Do be aware that a countertop microwave will take up valuable kitchen work space. Some models come with kits that allow you to mount the appliance under a cabinet to avoid this problem. Above-range (also called over-the-range) microwaves, as their name indicates, are designed to be installed above the kitchen range. 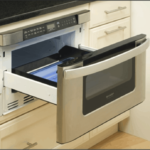 Above-range microwave oven makes great use of available space. Among the main types of microwaves, they rank second in popularity. In recent years, improvements have been made to the units’ exhaust fans for venting steam and filtering smoke from a stove’s top burners. Most models have multispeed fans that recirculate air using replaceable charcoal filters. These units do not need to be vented outside. 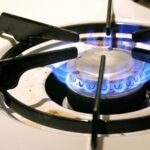 Some exhaust fans also switch on automatically if a stove top becomes too hot, protecting the microwave oven. Because above-range models require space over your stove, you may have to remove a cabinet before installation. Typically, above-range microwaves are purchased to replace existing ovens or when a kitchen is being remodeled. Some name brands—such as the GE and Sharp microwave ovens—start as low as $250, but above-range ovens can top $1,000, depending on the features. 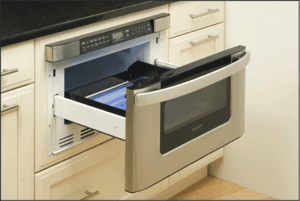 Microwave drawers are relatively new to the marketplace, favored because they don’t consume valuable counter space, but offer all of the convenience of microwave ovens. Though installing one isn’t as easy as setting a microwave oven on top of a counter, installation is relatively easy. For more, please see How to Install a Microwave Drawer. These are the most luxurious option, offering a built-in conventional oven and microwave in the same space. The microwave typically is on top of the larger conventional oven. These dual ovens have drop-down doors and a sleek stainless design. They can cost as much as $3,000. If you want to do more than cook popcorn or bake a potato, buy a mid- or full-size oven. Cooking full meals for an entire family requires a large model and high power. Panasonic microwave ovens offer some of the largest sizes (up to 2.2 cubic feet). Full-size ovens deliver 1,000 to 1,600 watts of power, and mid-size ovens yield 800 to 1,000 watts. Higher wattage heats food more quickly. More power is better for cooking entire meals. Compact microwaves—the smallest ovens—work well in dorm rooms, offices, and apartments. Some people use these mini-microwaves in boats and campers. The compact unit should be able to hold one dinner plate. These smaller microwaves yield 500 to 800 watts. Keep in mind that the lower the power, the longer it takes to cook a meal. Convenience distinguishes today’s microwave ovens from earlier models. Shortcut settings automate power levels and cooking times for foods such as popcorn, pizza, frozen entrees, and potatoes. The priciest microwaves offer up to 100 pre- programmed menu items that let you cook meals without first having to select the amount of times or the power level. Many units offer quick defrost settings that take the guesswork out of thawing. Some models have delay start-time options or will keep food warm after it cooks. When you buy a new microwave oven, regardless of the oven you choose, keep the reference guide handy so you can take full advantage of the features. It is critical to have a revolving glass plate or turntable inside your oven to ensure even cooking. Otherwise, you will need to stop the microwave several times and turn the food by hand. Most mid- and full-size microwaves have removable turntables. Some new versions also have rectangular trays that slide back and forth. This safety feature cannot be readily seen but guarantees that the microwave oven will not run if the door opens or is ajar. Most ovens have two interlocks; some have three. If one lock fails, the backup lock will work. You do not always need to use your microwave at full power. Variable power lets you change the setting level. You can simmer food at 50% power or defrost at 30%. Child-proof doors are especially important on microwave convection units, where dishes may be extra hot when they come out of the oven. Child-proof doors can be locked and released using a keypad. This new technology can tell when food is sufficiently cooked by measuring steam in the oven. You don’t have to set a timer. 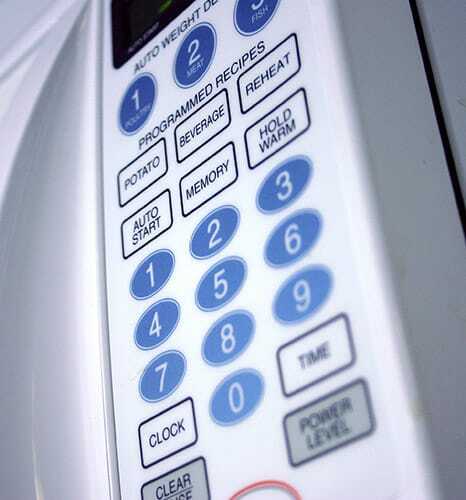 The microwave automatically shuts off, guaranteeing that food will not be overcooked or undercooked. Most manufacturers are adding automatic sensors to their models if they haven’t already.